Waffle On about School for Scoundrels. 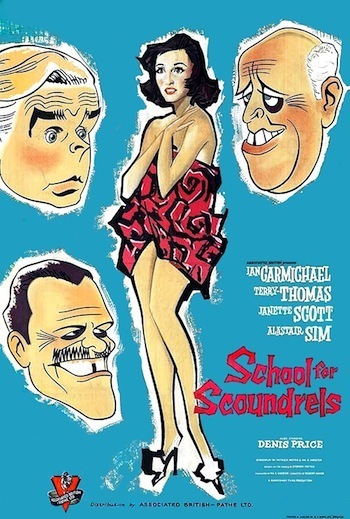 Hello and welcome to this months episode of Waffle On Podcast in which Meds and Kell chat away about this excellent 1960's British comedy School for Scoundels. The film stars Terry-Thomas and Ian Carmichael alongside the always excellent Alastair Sim. We play a couple of clips from the film and also a little joke (a rare item caught on film) told by Terrt-Thomas himself. Please do come and joinus on Facebook, just search for Waffle On Podcast. iTunes reviews are always welcome as well. See you in September for Waffle On about Rear Window.